The Echo Sub is quite diminutive as subwoofers go. The cylindrical, molded-plastic enclosure measures a mere 8 inches tall and 8.3 inches in diameter. It feels quite sturdy, though, with a weight of 9.3 pounds. Its small size is made possible in part because of the enclosure’s sealed design; ported subwoofers typically require larger enclosures. The trade-off is that sealed subs generally can’t play as loud as comparable ported models at lower frequencies, but I don’t see that as a problem for a small system such as this one. Speaking of lower frequencies, the Echo Sub’s bass extension is specified to reach down to 30Hz (-6 dB). That’s pretty good for a single 6-inch conical driver, which is made of coated paper in this case. The low-frequency response is aided by the fact that the driver fires downward toward the floor; sound emerges through slots in the base. The floor acts as a boundary that reinforces the low frequencies. To boost the bass even more, you could place the sub near a wall or corner, but Amazon recommends that you place it well away from walls and furniture. The Echo Sub receives its signal via your home network (802.11a/b/g/n at either 2.4- or 5GHz). 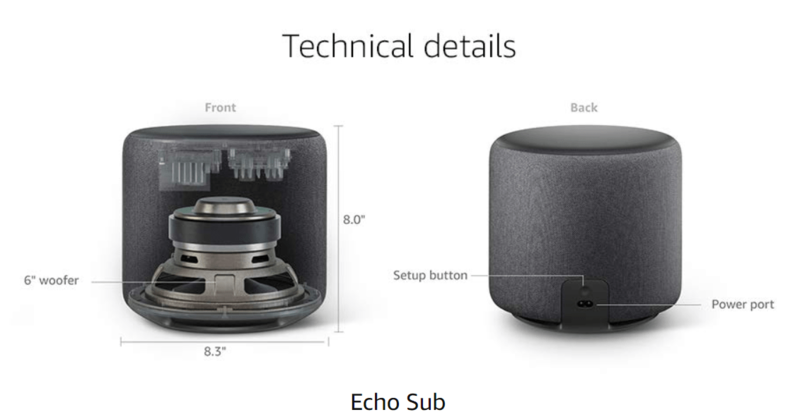 It has no physical audio connectors, unlike the main Echo speakers, which have an 3.5mm aux output. For audiophiles, the lack of granular control over the crossover from the sub may be an issue, but if you are like me and are simply looking to add deep bass to your Alexa enabled music experience, this is a brilliant option. The minute I added this to my room with two 2nd generation Echo devices already running, the difference was amazing. The rich tonality of the bass notes it hit made me feel like the music was being played in the room for me. You can also say cool things like “Alexa, Increase/Decrease the bass” and see the magic happen. 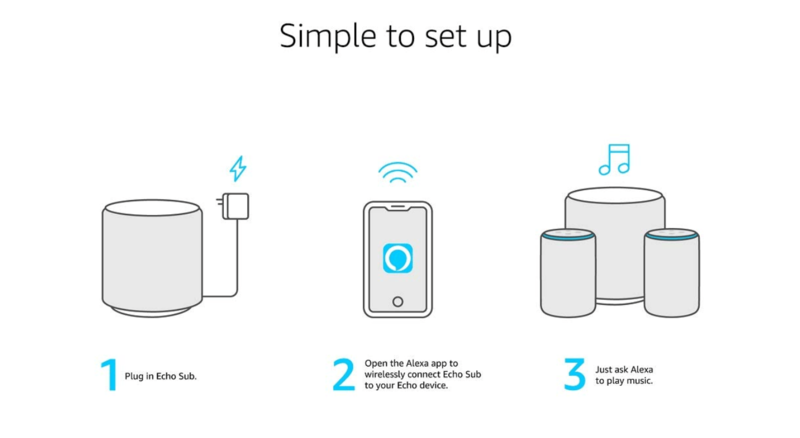 But remember that this works only with music from Alexa and not from other sources. But hey, it serves my purpose and I love the change it brings into my living room. All in all, at INR 12,999/- the Amazon Echo Sub adds a lot of boom to your Alexa-powered music and brings a lot of joy to your ears quite literally.